Geanker in die 1950’s: ‘n Oorsig van bekende goud- en silwersmede in Suid-Afrika. In hierdie opvolg artikel word ‘n oorsig verskaf van ‘n aantal goud- en silwersmede wat hulle werkwinkels tussen 1950 en 1959 in Suid Afrika kom vestig het. Gebaseer op koerantberigte, joernaal en tydskrifartikels, boek publikasies, tersaaklike e-pos skrywes en internet soeke is ‘n oorsig saamgestel. Onderhoude is gevoer met goudsmede of hulle nasate, en spesialiste in die industrie soos juweelkenners, stempelsnyers en graveerders. Opsommings met tersaaklike inligting oor die vervaardigers en hulle uitsette is vervolgens saamgestel. Sleutelwoorde: edelmetaalkunstenaar, goudsmid, silwersmid, vervaardigende juwelier, vervaardigersmerk, twintigste eeu Suid-Afrika. This follow-up article concentrates on 20th century manufacturing gold- and silversmiths in South Africa who established their workshops from 1950 to 1959. A review is composed, based on newspaper reports, journal and magazine articles, book publications, relevant e-mail exchanges and internet searches. Interviews were conducted with gold- and silversmiths or their descendants and other specialists such as gemmologists, die sinkers and engravers. Précis with pertinent information on the gold- and silversmiths and their outputs were then composed. Key words: precious metal artist, goldsmith, silversmith, manufacturing jeweller, maker’s mark, twentieth century South Africa. In twentieth century South Africa, market demands played a central role in the development of a mix of mass and individual metal art businesses. Some workshops that employed a great number of artisans specialising in the various facets of jewellery making, incorporated mass production techniques to provide more affordable products for the market place. In some cases, the ‘bread and butter’ lines of a few workshops were based on the local market for manufactured medals, pins, badges and insignia. This notwithstanding, throughout the twentieth century, the majority of local gold- and silversmiths preferred to maintain small studios that focused only on designing and making individually crafted jewellery pieces (mostly on commission), along with repairing and remoulding existing pieces. Often, a retail section with wholesale items, was also included in the business mix. In the early and mid twentieth century, the sale of imported watches and their repairs served as a primary means of income, with jewellery making and repairs as a sideline. But in line with international trends and with the development of the local economy, over the latter half of the twentieth century, the market became increasingly sophisticated along with a demand for locally manufactured as well as handmade jewellery and other precious metal artefacts. The aftermath of the Second World War resulted in a wave of immigrants skilled in the various facets of jewellery making (die sinking, engraving, soldering, cutting and polishing of precious stones) – thereby contributing significantly to the development of a local handmade and manufactured jewellery. After the war, the South African Government encouraged the immigration of skilled artisans to South Africa. In the early 1950’s in Pretoria alone, the Lazar Brothers (who had a workshop in Church street) imported a fair number of Lithuanian craftsmen such as Messrs. Alswang, Lever, Abbratt Fine, Sherman, Bregman, Novis, Nochamovitz, Hyme Milstein, Meinke, Nowitz, Hope and Arthur Kaplan. Other contingents came from Italy, Austria, Germany, Switzerland and the UK. Being immigrants, they brought a freshness of perception and appreciation of South African cultures and landscapes to the fore. At the beginning of the 1950’s the stage was set for new growth in the output of South African gold- and silversmiths – a growth that was to prosper over the latter half of the 20th century. In the midst of the Second World War the South African Jeweller’s Association Ltd. came to life in Johannesburg in March 1942. Within fifteen years it had successfully established branches countrywide (Border, Port Elizabeth, Durban, East London, Cape Town, Pretoria, Johannesburg and Kimberley, with Provincial branches in the Transvaal, Free State, Natal and the Western Province). The Johannesburg Branch was the most differentiated of all the structures and comprised of three sections that represented the concerns of wholesale jewellers and manufacturers, with separate representation for the retail jewellers and the manufacturing jewellers. In the1955 the Cape Jewellery Manufacturing Association was formed and seceded from the S. A. Jewellery Manufacturer’s’ Association but remained affiliated with the mother body, the S.A. Jeweller’s Association. The main reason for seceding was that decisions were made by the S.A. Jewellers’ Association that did not represent their interests. For the rest of the 20th century the Cape Jewellery Manufacturers’ Association kept functioning as a separate interest group until it amalgamated with the Jewellery Council of South Africa in 2012 due to low membership. Apart from the initial Transvaal Jewellery Manufacturers’ Association (under the umbrella of the S.A. Jewellery Association) and the Cape Jewellery Manufacturers’ Association, the creation and manufacturing of precious metal artefacts (be it jewellery, flat- or hollow ware) in South Africa was regulated by an Industrial Council for the Jewellery and Precious Metal Industry. It was constituted under the Industrial Conciliation Act in November 1945. Together, they defined four main sections of creative precious metal artisanship – designing, making, setting and polishing – and laid down an ethical code along with training and production requirements. No specialisation took place and apprentices had to be competent in all categories of the trade. Under the job reservations act, Africans were only allowed to be trained as polishers. …imitation jewellery and rolled gold, enamel or gilt jewellery; precious stones and pearls and imitations thereof, cut or polished and whether mounted or unmounted; completed portions or parts of any article of jewellery, imitation or otherwise; bangles, necklaces, girdles, muff chains, clasps and similar articles of adornment. The relaxation of duty tariffs also meant that local gold – and sliversmiths faced increased competition from other countries and from the South African Mint. In 1956 they successfully petitioned the government to restrict open market related activities by the South African Mint. An issue that grappled the attention of the Association already from the 1950’s and beyond was how to unlock a growing African market. This study concentrates on 20th century gold- and silversmiths that established businesses in South Africa from 1950 to 1959. The aim was to record the complete history of the studio or workshop until its demise, or present status. A literature search of publications in academic journals, books and suitable magazines such as the South African Panorama, Lantern, Artlook Magazine, The S.A. Jeweller and the Diamond News as well as The Diamond News and The S.A. Watchmaker and Jeweller, yielded an initial list of gold- and silversmiths whose work was noted and commented on. Afterwards, internet searches on local manufacturers who originally established their businesses during the 1950’s were conducted. In all cases, effort was made to contact gold- and silversmiths still alive or their descendents for more information about their background and work as well as to corroborate existing information – also in relation to other jewellers of the time. In addition, makers’ marks on jewellery and other metal artefacts at collectors’ fairs and antique shops were noted and attempts were made to trace their origins through the interviews. - Handmade metal creations where one-off artefacts were either exclusively or primarily made by hand. In some cases small scale casting was also done. These include the work of Egon Guenther, Colonel Gilroy and Jo King, George Xanthides and Eone de Wet. - Manufactured metal creations produced on medium and large scale. These include the work of the Metal Art workshop, Mauro Pagliari, as well as studios or workshops that used the following marks Riviera, Simba, Kruger Park and Mari Lou. In order to adhere to the historical timeline, the above studios and workshops are chronologically presented below. Egon Guenther was born in Mannheim in Germany in 1921, with both parents working as jewellers. Under the guidance of his parents he served a full apprenticeship in Pforzheim, Germany along with formal studies at the Vereinigte Goldschmiede Kunst- und Werkschule. Afterwards he worked in his father’s studio. But this was not enough for the young Egon to keep his artistic interests stimulated. He opened an art gallery featuring abstract and surrealist works. He worked in gold and silver and often made use of South African semi-precious stones. He was an ardent gemmologist and believed that all jewellers should be well versed in the field of gemmology. His jewellery work was strongly influenced by schools of post-war painters, architects and sculptors. His inspiration for his designs was also found in the landscape, sunshine and the mix of cultures and races in Johannesburg. Most of his designs were sketched beforehand, starting with combining simplified lines to capture a particular mood or aesthetic - driven by the interaction between romanticism and formalisation. His design work was both consciously imposed and intuitively extracted from the qualities of the materials he used. His creations included the full jewellery range including cuff links and tie pins for men. Figure 1: Egon Guenther at work in 1957. Figure 2: Designs by Egon Guenther in 1957. The brooch was made in silver with Almandine and a moonstone, the ring and earrings are from oxidised silver with Amethyst, Zircon and Citrine. …there is the rare blending of a man who has the feeling and ability to create artistic designs, allied with the craftsmanship with which to execute them. …produce work typical of our time as related to the development of modern art and architecture. Figure 3: A collage of insignia, buttons, pins and badges manufactured by Metal Art. For a while, they also manufactured curios for the Kruger Park. Although not marked, they produced a collection of miniature (about 6 cm in height) animals that included an elephant, a lioness, a rhino, a gecko, a tortoise and a horse. These were spin cast in oxidised silver and attest to exceptional workmanship. Since the workshop did not manufacture jewellery, they were allocated to the Industrial Council for the steel manufacturing trade and not the jewellery trade. This anomaly still exists, even though the refined nature of their work is more akin to jewellery manufacturing than steel processing. Around 1987 the business moved to Ekandustria to capitalise on Government incentives to stimulate rural development projects. Because it was a labour intensive industry, it was financially advantageous at the time to relocate the business to a proclaimed homelands area. In 1998, Mr Jakkie Erasmus and his parents-in-law, Mr and Mrs A.P.J. Dique bought the Metal Art Company from the then owner Malcolm McNorton. Earlier on in 1984, the Dique’s already acquired the Joe Calafato trade mark. They retained the separate company names. It is interesting that Joe Calafato, who was a founding partner of Metal Art in 1951, later broke away with his own company called ‘Joe Calafato’, and more than 40 years later the two companies were again brought under the same management. The circle has been completed. Though they have some of the dies from Joe Calafato’s business and from the older Metal Art workshop, the business continues to focus on pins, medals, badges, military insignia and cuff links. Some of their work is also done in gold. Colonel Gilroy King and his wife Jo were stationed in Upington during the Second World War. He was the Commanding Officer of the North Western Cape command. He hailed from an established military family and she was the granddaughter of General Andries Brink. Being avid anglers they noticed the array of colourful stones found in the Orange River where they often fished. Fascinated with the stones and with instruction books ordered from America, they taught themselves the art of cutting and polishing stones. After the Second World War, a retired Colonel King and his wife Jo, opened a jewellery studio on Edward Street next to the Apies River in Pretoria in 1953. They named the studio, ‘King’s Jewels’. They concentrated on the setting of precious and semi precious gemstones. Mrs King was responsible for the cutting and polishing of the stones and the Colonel was responsible for the mounting and setting of the stones. The design of the settings was discussed and co-created by the two of them after the stones were cut. In 1957 they were founder members of the ‘Northern Transvaal Klipspringers Club’ which was the forerunner to the ‘Pretoria Gem and Mineral Club’. They worked in silver, gold and platinum and also made use of enamel. Their work was typified as simple and unpretentious. In 1963 examples of their work were selected (along with that of Egon Guenthter, Kurt Jobst, Eone de Wet, Pauline Horwitz, Frida Blumenberg and Johan van Heerden) to represent South Africa at the International World Crafts exhibition held in Washington D.C.
George Xanthides apprenticed under Joe Calafato from 1947 until 1949 as a die sinker and engraver. He continued to work in the Metal Art workshop (see review elsewhere in the text) until 1953 after which he opened his own studio named George Xanthides Jewellery on the corner of Paul Kruger and Blood street, Pretoria. He moved to the President Arcade from 1960 to 1999. After three robberies in town, the studio moved for security reasons to Colbyn, a suburb of Pretoria, where however, it was again burgled twice during the past decade . 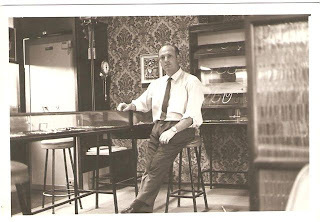 Figure 4: George Xanthides in his workshop showroom in President Arcade, Pretoria in 1960. Figure 5: Dies carved by George Xanthides early in his career and used in jewellery composition. His son Mark and daughter Bridgitte joined the studio in 1981 as manufacturing gold- and silversmiths. George and Bridgitte use the maker’s mark GX on their work, whilst Mark uses his initials MX on his designs. Whereas George Xanthides’ work is typified by much scroll work and drops (perhaps stemming from the retro moderne period of the late 1940’s), his children’s work is more simplistic in line. According to engraving, the Riviera mark was registered in 1953. The jewellery range consists of at least five different brooches depicting Afrikaner folk dancers in traditional dress. The work was cast in sterling silver and expresses a refined three dimensional approach with attention paid to detail. Imported clasps that carried expensive import duties were used. It seems likely that this was a one off range made for a specific function and market. It was possibly created for the 1953 Volkspele tour (that consisted of around a hundred dancers) to seven European countries. It appears that the creations may have been a limited casting edition and produced by a sculptor, especially since the manufacturer’s mark was etched in a hand engraving and not a punch mark. Two publications on the standardising of volkspele dances and dress during this time contain sketches by Katrine Harries of dancers that capture the mood of the brooches. The designer and maker have not yet been determined. Figure 6: Examples of the Riviera stamped brooches. Simba (Pretoria, 1954 to late 1970’s). Perhaps one splinter group of note that formed after the original Metal Art workshop broke up in 1953 was that of Messrs J. Joubert, Neil Dreyer (die sinker) and Stanford who began manufacturing jewellery and curios expressly for the tourist trade. They designed and produced unusual three dimensional African landscape and animal studies. Their workshop was located in Rosslyn near Pretoria. They worked in silver, silver plate and copper. Sometimes hardened plastic or a flat perspex sheet as background material was mixed with metal cut-outs of three dimensional animal compositions. Collectors’ spoons with finials depicting a number of South African cities’ coats of arms were also produced. A background of woven grass used on some metal bracelets attest to the innovative and experimental approach of the workshop. The Simba workshop also used polished lion and leopard claws as centre pieces in earrings and brooches, thereby contributing to a trend of using animal hair, claws and teeth in formal jewellery design during the decades that followed. The earlier Simba ware was marked with the framed words AFRICA, Simba and Handmade as maker’s mark. In later work only the word Simba was used, and sometimes REGD (since 1971) was added. The Simba group also exported some of their work to Southern Rhodesia/Zimbabwe using the stamp VICTORIA FALLS on the inside of the clasp mounted brooches. Perhaps because of a limited manufacturing period and the fascinating African themes destined for the curio market, the Simba mark is often seen at collectors’ fairs and has retained its collectors’ interest. Figure 7: A composition of Simba marked ware with the maker’s mark in the top right. Note the use of woven grass as background on one of the bracelets. The National Parks Board commissioned, from various manufacturers (including Joe Calafato’s workshop and the Simba group), a wide range of curios and jewellery to be sold in their curio shops. Different forms of the Kruger Park mark were used. The most prolific mark is WILDTUIN KRUGER PARK and sometimes REGD was added. Another form of the maker’s mark merely states KRUGER PARK. The most interesting mark is circular (1 cm. in diameter), where KRUGER was stamped across the middle of the circle with a rounded WILDTUIN at the top and PARK at the bottom. Some articles with this mark bear both the manufacturer’s mark and the Kruger Park mark (e.g. the Simba, Carina and Velia marks indicating that it was in use around the mid 1970’s). Marks for other National Parks such as ADDO PARK were also used. There is evidence that the marks were used from the mid 1950’s (as indicated by a 1958 date stamp on a good quality brooch) to the late 1970’s. The materials used were silver, silver plate and copper, sometimes combined with perspex or hardened plastic. Figure 8: Examples of wares sold under the Kruger Park mark. She is a good designer … her work is lively, bold and vigorous… the jewellery she has made has delighted staff and influenced students… has shown a rare talent… good sense of form in a great variety of media. 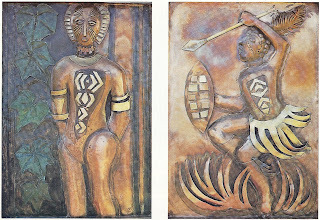 Figure 9: Two of the 25 copper panels depicting Koki and a Warrior from the epic poem Raka, created in 1975. Figure 10: Eone de Wet in 1981, modelling an array of her jewellery work. Although much of her work is not marked, she did at times (especially during her later years) use the image of a waterwheel consisting of eight spikes, as signifier. The symbol was adopted from the De Wet family crest. Apart from being one of the first generation of local female silversmiths, Eone de Wet was unique in that her work evolved from primarily jewellery design to larger sculpting expressions – making her one of the country’s first full time female metal artists. Mauro Pagliary was born in 1913 in the Italian town of Scanno. He received his training from Gampoli, a well known master engraver during the 1930’s. As prisoner of war in India and Ceylon, he drew attention to his remarkable creations of engraved flatware from scrap metal. He was conscripted in 1939 to serve in North Africa and was taken prisoner on the first day of hostilities. He spent the whole of the war in camps where he used tools made from scrap metal to create engraved cigarette cases, jewellery boxes and even surgical instruments. A highlight during this period of his life was the presentation of a hand engraved tray presented to Edwina, the wife of Lord Mountbatten. Pagliary arrived in 1952 in Cape Town, and as a classically trained master engraver and die sinker with extensive experience, his skills were sought after. He worked with the Lehman Brothers until 1957 when he opened his own workshop. Pagliary was a perfectionist and a workaholic with an unswerving drive to create designs. He initially concentrated on hollow ware such as precious metal chalices, trophies and bowls as well as maces and medals. He sometimes manufactured designs from Joe Calafato who was a good colleague and friend. He was the first person to open a private mint in the Western Cape in 1978. In 1961 he was commissioned by the first South African Government to produce an 18ct gold Parliamentary Mace. It was to be the largest piece of worked gold in the country. It was designed by Mr C. Pama (Chair of the Heraldic Society of South Africa), made by Mr T.S. Quinlin (goldsmith, Cape Town), with engraving by Mr J. Pagliary. It took nine months to complete. Later, and attesting to their continued high standing amongst competitors, the Pagliari Group shared a commission to produce the Parliamentary People’s Mace of the republic of South Africa (2004) as well as the making of the Black Rod for the national council of Provinces of the Republic of South Africa (2005) as well as the new Parliamentary emblems for the National Assembly as well as the National Council of Provinces (2007). 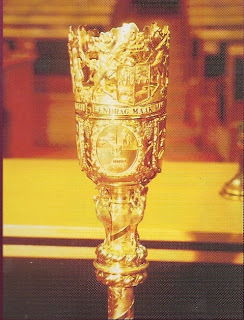 Figure 11: Parliamentary mace commissioned in 1961, displaying the skills of master goldsmith T S Quinlin and master engraver Mauro Pagliary. The workshop was also commissioned by the South African Government to produce a hand crafted silver rose bowl as a wedding gift to crown Prince Naruhito of Japan (1995), as well as a silver Chalice presented to Pope John Paul II by President Mandela in 1995. Other achievements include presenting President Mandela in 1994 with a 24 ct gold Unity medal on his 50th day in office as well as having been commissioned by the Società Italiana per l’Edizioni d’ Arte to represent the African continent in creating a Millennium 2000 Aurea medal. It consisted of 24 ct gold and was set with 64 diamonds. The collection formed part of the year 2000 celebrations, and consisted of five medallions other medallion designs from mints in Australia, China, Italy and Mexico. A fair number of other high quality medals in gold and silver were also produced, most notable of which were a medal commemorating the royal wedding of Prince Charles and Diana, and a later one commemorating the birth of Prince William. As a community engagement project, the workshop also created a range of Islam inspired coins in 24ct gold and sterling silver to help fund the building and maintenance of the Masjidul Quds complex in Cape Town. Following the designs of Tretchikoff, he created a collection of ten gold medallions depicting the Ten Commandments. Because of its religious content and the ‘earthly riches’ that gold represent, a minor moral stir was caused in local social circles. Figure 12: Twenty four carat gold medallions depicting two of the Ten Commandments designed by Tretchikoff and produced by Pagliari. In 1980 Pagliary was responsible for the creation of the Kruger Kilo, the first one kilogram 18ct gold coin manufactured in the world. In addition, the workshop also produced a range of prestigious national and international sport trophies. The business continues to produce proof quality coins, medals, trophies, awards and plaques. For many years, the workshop has been running a fully equipped tool-room and minting facility. Hand modelling, sculpting and engraving as well as many types of machine engraving and etching are carried out under one roof at 15A Buitensingel Street in Cape Town. A decade ago they also started making use of computer technology in their designing and manufacturing. In-house training continues to take place. Mauro Pagliari’s initial workshop, which consisted of himself and only one machine operator, grew exponentially into a business presently consisting of various companies that employ more than 55 staff members concerned with engraving, die-making and minting. From the start he also defied the labour laws of the time by employing coloured staff in artisan positions and providing in-house training on all facets of the production processes. Since his death in 2001 the business continues to be run by family members, Alberto Regasto and Toni Pagliari. The Pagliary group houses the largest and oldest engraving company on the sub-continent. The majority of their work is stamped with any of the following marks: PAGLIARY, CAPE MINT, CAPE SILVER, CM, CS and K.
Messrs Eddie Luther (die sinker) and Ryno Erasmus also broke away from the original Metal Art workshop in Pretoria and opened ‘Mari Lou Jewellers’ in the late 1950’s. The workshop and its showroom were situated in Church Street close to Potgieter Street. The mark MARI LOU along with STER SILV or just SILVER was used. They used die pressed work that could be turned out in volume. Making use of imitated filigree, granulation and marcasite representations in their designs, their work was clearly aimed at the middle to lower end of the market. Nevertheless some of the designs are rather avant garde for their time. It also shows some affinity with the designs at the time from the American jewellery manufacturing centres on Rhode Island. Though some of the Mari Lou designs express a likeness with the work of Joe Calafato, they also contain a refinement of design that at times surpasses Calafato’s work. Figure 13: A collection of brooches and ear rings manufactured under the Mari Lou insignia displaying a wide range of styles. The book brooch in the top left corner is opened at a readable Lord’s Prayer. The South African jewellery market during the 1950’s was in general not as sophisticated as their European and North American counterparts. Local gold- and silversmiths tended to regard South African tastes as lagging somewhat behind first world trends. During this decade, they were also slow to appreciate the new introduction of semi-precious stones into jewellery design. Nevertheless, some jewellers did comment on experiencing an openness and willingness from customers to learn. Crime directed at jewellers and their businesses was already prevalent during the 1950’s. Burglaries, smash-and-grab attacks on window displays and assault on jewellers were regularly commented upon. In one such incident in 1957, it was reported that Mr I Gordimer, a well known Springs jeweller and the father of South African authoress Nadine Gordimer, was assaulted and robbed in his jeweller’s shop. After the Second World War, in contrast to the first half of the twentieth century, the country as a whole enjoyed sustained economic development throughout the latter half of the century. This was also the case with the growth of the creative precious metal market precious metal manufacturing industry. It was the decade of the 1950’s that initiated prosperity and growth in this sector of the South African economy. Hierdie artikel volg op ‘n oorsig van vervaardigende goud- en silversmede wat tydens die eerste helfte van die Twintigste eeu in Suid Afrika werksaam was. Dit is vervat in F. van Staden, Early and mid Twentieth Century South Africa: Legacies of manufacturing gold- and silversmiths, South African Journal of Cultural History, ingedien ter oorweging vir publikasie, April 2012. This article follows on a review of manufacturing gold- and silversmiths working in South Africa during the first half of the century. See F. van Staden, Early and mid Twentieth Century South Africa: Legacies of manufacturing gold- and silversmiths, South African Journal of Cultural History, submitted for review, April 2012. Author unknown, Uit die rotse kom voort skoonheid, Suid-Afrikaanse Panorama, Februarie 1966, p.29. Interview: Mr V. Thompson, engraver, Pretoria, 2009-09-30. Not all were manufacturing gold- and silversmiths, some concentrated on retailing. 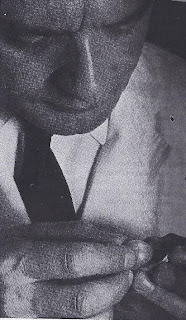 Mr M Cohen, The South African Jeweller’s Association Ltd., The Diamond News and The S.A. Watchmaker and Jeweller, September 1950, p. 42. The Cape Jewellery Manufacturers’ Association continued to function well into the 21st century as an independent body. Mr J B Pinn, Past year most beneficial to the Jewellery trade: Activities of Western Province Branch of Association reviewed by chairman, The Diamond News and The S.A. Watchmaker and Jeweller, April 1955, p. 57. Interview: Mr Lourens Maré, Chief executive officer, The Jewellery Council of South Africa, Parktown, Johannesburg, 2012-04-10. Author unknown, Manufacturing Jewellers’ Industrial Council: Success of Johannesburg Experiment, The Diamond News and The S.A. Watchmaker and Jeweller, January 1949, p.17. 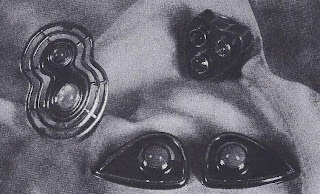 L. Dellatola, Jewellery Council, South African Panorama, December 1973, p. 2. F. van Staden, Joe Calafato: A late twentieth century South African precious metal artist, S.A. Journal of Cultural History, 24(1), June 2010, p. 148. M. do Rosário Pinto Pereira da Silva, From Dynamism to Dormancy: The Jewellery Industry in Johannesburg: 1925-2003, D.Phil. thesis submitted to the Faculty of Humanities, University of the Witwatersrand, Johannesburg, May 2007. Author unknown, 200 trained jewellers unemployed, The S.A. Jeweller and the Diamond News, August 1957, p7. Also, according to a number of interviewees, on the open market in the 1950’s to the 1960’s, gold could not be exported in its ‘raw’ form as ingots. It had to be transformed into a value added product. Thus it happened that mostly on commission, some gold- and silversmiths casted objects such as weighty ashtrays in 24 carat gold for export. Editorial, New Year – New Direction, The Diamond News and the S.A. Watchmaker and Jeweller, p. 3, January 1958. Also, author unknown, Union’s trade with the non-whites: Big new customer slowly emerging, The Diamond News and the S.A. Watchmaker and Jeweller, p. 21, August, 1959. Reviewers were Messrs. Vic Thomson and Charles Kgosana (engravers, Pretoria), D Schilofsky (jeweller, gemmologist, Pretoria) and F. Haenggi (art dealer, Basel, Switzerland). It should be noted that the list is not conclusive but contains only an initial record of noted manufacturing gold- and silversmiths who used a maker’s mark. Indeed, according to Mr F. Haenggi (co-owner of the Johannesburg situated Gallery101 from 1961-1973, and owner of Gallery 21 from 1972-1993) a fair number of jewellers who were active in the 1950’s and 1960’s exhibited their work at his galleries. These include names like Peter Davis, Renée le Roux, Sandra Rosenberg, Marion Gottlieb. As yet, no more information could be obtained about them. Perhaps some were only active for a short while. E-mail: Mr F Haenggi – F. van Staden, 20th century artists working in South Africa, 2011-09-14, www.pelmama.org/Johannesburg_artscene_Gallery101_history, accessed on 2011-12-05. F. van Staden, early and mid Twentieth Century South Africa: Legacies of manufacturing gold- and silversmiths, South African Journal of Cultural History, 26(2), manuscript submitted for review and publication in December 2012. Karel Nel, The Egon Guenther family collection: A conversation with Karel Nel, www.randafricanart.com/Egon_Guenther_Interview.html, accessed on 2012-05-10. Author unknown, Die wêreld sien hoe ons vroue getooi word, Sarie Marais, 27 March 1963, p. 41. E_mail: F Haenngi to F van Staden, Kurt Donau & SA Goldsmith manuscript, 24 January 2012. Interview: Geoph Foden, Johannesburg, 2009-10-28. Author unknown, Egon Günter, The S. A. Jeweller and the Diamond News, April 1957, pp. 16-17. The S. A. Jeweller and the Diamond News, February 1957, pp. 9-10. Interview: Mr B. Taylor, worked in the early Metal Art workshop and again between 1970-1979 for Joe Calafato, Pretoria, 2005-10-27. Interview: Mr G. Blything, worked in the 1970’s for Joe Calafato as a medal die sinker, Pretoria, 2005-07-08. Interview: Mr J. Erasmus, co-owner of the Metal Art and Joe Calafato companies, Pretoria, 2009-09-10. Joe Calafato’s work under the maker’s marks of Candida, Velia, Carina, Dawu, JC and Joe Calafato has been extensively recorded in an earlier article: F. van Staden, Joe Calafato: A late twentieth century South African precious metal artist, South Africa Journal of Cultural History, 24 (1), pp. 126-149. Author unknown, The Kings of King’s Jewels, The S. A. Jeweller and the Diamond News, April 1957, pp. 16-17. Interview: Mr D. Shilofsky, manufacturing jeweller and gemmologist, Lynnwood, Pretoria, 2009-09-30. E. Smit, Erich Frey 25 years (Pretoria Art Museum, 31 July – 18 August 1985), p.2. Interview: Mr B. Minster, Pretoria, 2005-12-14 and 2005-12-15. Interviews: Mr G. Xanthides, Pretoria, 2004-11-16, 2004-11-17 and 2009-10-21. In interviews with other jewellers it emerged that criminality became a major issue and expense over the final decade of the 20th century. Interview: Mr George Xanthides, Mr Mark Xanthides and Ms Bridgit Xanthides, Pretoria, 2009-10-21. C. de Ridder, Volkspele uit sonnige Suid-Afrika, Van Schaiks, Pretoria, 1953. Uniale Raad vir Volksang en Volkspele, Ons eie Volkspele, Pretoria, 1955. R.van der Lith – F. van Staden, e-mail: RE: Volkspele borsspelde, Reinette@volkspele.co.za, 2009-09-28. Interview: Mrs K. Milbrandt, daughter of Mr Haug, a die sinker for the Simba group, Pretoria, 2008-10-11. Examples are contained in the author’s private collection. http://ipnewpto/zaptolemy/web/IP/trademark/tmapplication/list.aspx, 2009-04-15. At the time maker’s marks had to be renewed every 10 years. Archives of the National Museum for Cultural History, Pretoria, A collection of photo’s depicting a few of the Simba ranges as photographed by Martin Gibbs. Comparison of examples in the Van Staden collection. The collection contains extensive examples of Joe Calafato’s work along with that of Simba, Kruger Park, Haglund, Erich Frey, Mari-lou and Riviera. Excerpts from testimonials in the De Wet portfolio which include L. Lipschitz and R.N Sheppard (Director) of the Michaelis School of Fine Art (1952) and DM Batts, M Kessel and W Johnstone (Principal) of the Central School of Arts and Crafts in London (1955). Author unknown, Jewel Craft: Eone de Wet, Lantern, March 1957, pp.289 & 291. Ms B. Maree, Uitstalling van beelde: Saadjie jare gelede geplant, Die Transvaler, 16 October 1981, p. 8. Sculptures from the serpentine stone family were exhibited at the Pretoria branch of the South African Art Association in October 1981. Ms M. van Biljon, Jewellery… inspired by Africa, Panorama, nr. 7, 1957, p. 29. Mr R. Daneel, Award winner Eone de Wet, catalogue of Adler Fielding Galleries exhibition named Artist of Fame and Promise 1962, p.3. Ms Barbara, S.A. artist for U.K., The Friend, Bloemfontein, 14 March 1962, p.10. Author unknown, Die wêreld sien hoe ons vroue getooi word, Sarie Marais, 27 March 1963, pp. 9, 10 & 41. Mr R. Daneel, Award winner Eone de Wet, catalogue of the Adler Fielding Galleries exhibition named Artist of Fame and Promise 1962, pp. 3 & 4. Author unknown, Eone de Wet, Lantern, March 1972, pp.37 - 39. Ms P. Breytenbach, Eone se Raka – ‘n waardige bydrae, Die Transvaler, 22 Julie 1975, p. 4. M. Pieterse, Die skoene hou vir ewig, Klaradyn bylae tot Die Transvaler, 27 April 1978, p. 3. Ms M Kromberg, Inflasie dryf Eone van groot kuns na juwele, Die Vaderland, 31 Maart 1978, p.11. Interview: Mr Lucian Harington, son of Ms De Wet, Johannesburg, Parktown North, 2011-12-13. Others were Else Wongtschowski (1936 – 1970’s/1980’s), Margaret Richardson (late 1940’s – early 1970’s) and Maia Holm (1962 - ). Unpublished resumé from Pagliary’s personal file. Ms F Regasto, letter addressed to F. van Staden, Basic history on the founding of Pagliari, 28 October 2009. Interview: Ms Z. Calafato, daughter of Joe Calafato, Colbyn, Pretoria, 2009-09-19. Also, F. van Staden, Joe Calafato: A late twentieth Century South African precious metal artist, South African Journal of Cultural History, 24(1), June 2010, p. 142. Ms B West, International honour for two city jewellers, Cape Times, 2000-07-10, p.5. Author unknown, Symbol of Power, South African Panorama, April 1963, p. 12. Pagliary’s first contract was signed with the Rembrandt Tobacco Group for producing the dies used for embossing labels on the cigarette boxes. The Pagliari Group now consists of the following companies who deal with gold/silver smiting, industrial engraving and die sinking, medal and coinage manufacturing: Pagliari (Pty) Ltd., The Cape Mint (Pty) Ltd., Sports Medallions (Pty) Ltd., Gia Jewellery CC and Cape Silver (Pty) Ltd.
 E-mail, Roberto Pagliari, RE: Pagliari History, 2009-10-15. She also states that Pagliari ..slept very little as his brain was always working overtime. He would always make notes (even when in bed) so as to remember and put his thoughts into action at work. Interview: Mr B. Minster, Goldsmith, Pretoria, 2009-12-14 and 2009-12-15. Interview: Mr S. Vorster, Goldsmith, Plettenberg Bay, 2007. In discussions with dealers in antiques and collectibles, it is often speculated that the Mari Lou mark represents the work of a student of Joe Calafato because they made use of the same style and lettering type in their trade marks. Instead, it was made by his contemporaries who were competing for the same market. Author unknown, The Kings of King’s Jewels, The S. A. Jeweller and the Diamond News, April 1957, p. 16. Author unknown, Egon Günter, The S. A. Jeweller and the Diamond News, April 1957, pp. 16-17. The S. A. Jeweller and the Diamond News, February 1957, pp. 9-10. Also, N. Gordimer, Kurt Jobst, Artlook, June 1971, p.13. Author unknown, Jewellers act to cut burglary losses, Diamond News and the S.A. Jeweller, February 1958, p. 31. Author unknown, Springs jeweller assaulted, The S.A. Jeweller and the Diamond News, October 1957, p. 22. He died in 1962 and lived in Springs since 1904 after arriving in South Africa from Latvia. Author unknown, Death of Mr. I Gordimer, Diamond News and the S.A. Jeweller, October 1962, p. 49..
 F. van Staden, Joe Calafato: A late twentieth century South African precious metal artist, S.A. Journal of Cultural History, 24(1), June 2010, p. 131. Here it is wrongly stated that the import controls and tariff duties were eased in 1966 whereas it already happened 11 years earlier in 1955. Does anyone know about a jeweler who was interned at Sonderwater, and made jewelery while there from dental fillings and other pieces obtained from fellow detainies? I was told my parents' wedding bands were made by him: one in the camp, and the other subsequently to match. Thank you. I now realise the rings were probably made by Vetter in Namibia, or after his release. I will email picture of the one remaining ring for confirmation. My parents lived in Troy street when they got married around the same time as Vetter apparently had a workshop in Eloff Street. Hi Sari, Felix Vetter's work ranks amongst the best of his time. Loved the way that he also tended to sculpt the inside band of his rings. If you haven't read it yet, see my posting of 22 January 2014.